Super Star Rajinikanth’s most awaited gangster drama, Kabali, is just a few weeks away from storming thousands of screens across several countries. Thanks to its riveting teaser and the chart burster audio along with the Rajini phenomenon, fans’ expectations have touched the sky. 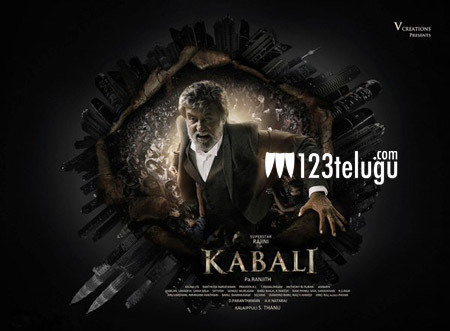 We had already reported that Kabali, apart from hitting the screens Telugu, Tamil and Hindi versions, will also be dubbed into Malay as the movie has a major Malaysian backdrop. After this, Kabali will also be dubbed into Japanese and Chinese for a humongous release in Japan, China and Bangkok, where Rajini enjoys a huge fan following. Kabali has been directed by PA Ranjith and produced by Kalaipuli S Thanu. The movie may hit the screens in mid July.